Being the only human in a world of merfolk... isn’t easy. 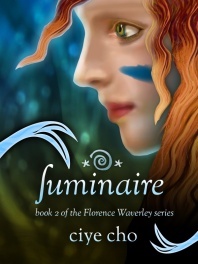 Florence Waverley chose to stay in Niemela, but things have gone awry. Secrets have risen and the prince she cares about has pulled away. All the while, dark dreams warn her of a tragedy that only she can stop. But in order to save the merman she loves, Florence will have to enter the Life Path tournament: a brutal test of fear and madness.